Well no not in terms of the weather – though it has been very nice this weekend which is a welcome respite from two days of torrential rain, thankfully we have not been flooded! 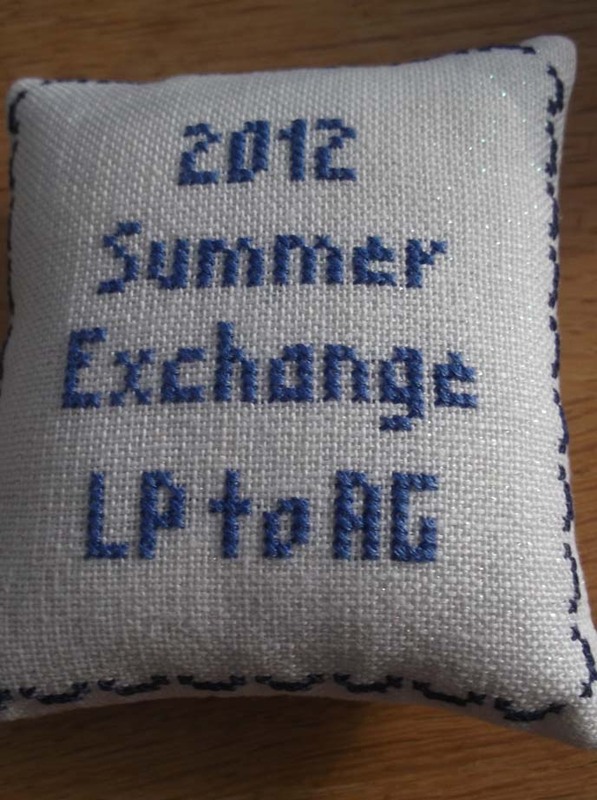 I have just had this lovely piece sent to me as a Summer Exchange from Lisa through the Seasonal Exchange blog. It is a JBW design which as Lisa knows is one of my favourite designers and she has used the same sparkly evenweave that I love to stitch my designs on, it is beautiful Lisa thank you. 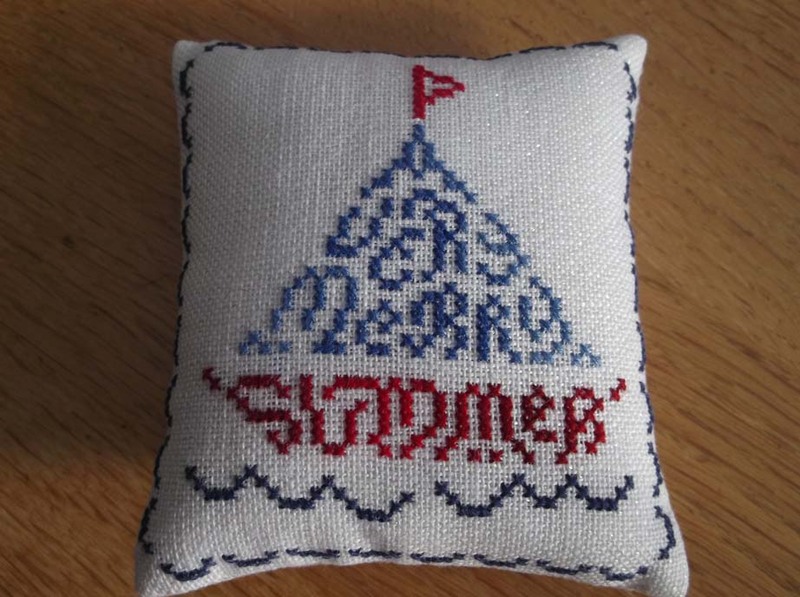 I have been spending the weekend mainly stitching and watch disaster movies on TV – there is an extreme weather disaster movie weekend on Movies 24 which is very appropriate give all the strange weather we have been having lately. I am currently working on my Summer Exchange plus a baby gift so nothing I can show yet. I have some additional links to share with you for lovely pics of re-enactment events, Red Zebra Photography were taking pics all last weekend at Harewood and there are some great shots including some of Swords of Mercia walking in the parade amongst the hundreds of pictures. I met the photographer, Nigel, from Wallace-Iles Photography at the Tatton event – he takes some lovely shots of single re-eanactors and the effects he puts on them make the really artistic. Next weekend we are off to our biggest re-enactment event of the year, Tewkesbury Medieval Festival – please pray for fine weather for us! Thanks for visiting and see you all soon.